A couple weeks ago, we saw Texas propose an initiative to move their gold from the Federal Reserve in New York City to a newly founded state bullion depository. Consideration of such a policy shows that the actions of the Fed have caused some legislatures to work to gain independence from the centralized banking system. 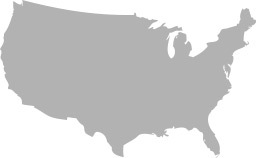 A recent Bloomberg article highlights over a dozen states that have taken actions to increase their monetary freedom by recognizing gold and silver as legal tender. While the change in policy is unlikely to make a practical difference in most cases (people aren’t going to quit exchanging dollars to adopt gold or silver), it holds symbolic value as a statement of separation from the Fed and opens the door slightly for people to use alternatives to the dollar. Campaign for Liberty Chairman Ron Paul has long advocated for the freedom for currencies to compete. Perhaps the most viable avenue for this transition is through state policy by permitting more freedom in how people interact in the marketplace. There’s no doubt the federal government has no intentions of giving up their monopoly on currency, which they depend on to operate with such high levels of inflation and wasteful spending. Therefore, it is up to the states to respond to the growing distrust of the Fed and allow individuals the option to use dollar alternatives. This would be the best way for everyone to protect their earnings and interact independently in the marketplace.